At SEB we are committed to supporting our customers in their work on transitioning to sustainable solutions. 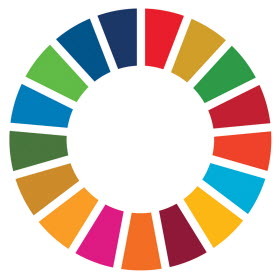 We support a transformation to meet stakeholders’ needs and expectations and do so by positively contributing to the United Nations’ Sustainable Development Goals, the SDGs. These goals have set the global agenda for nations, businesses and societies on how to approach the major challenges of our time, how to achieve sustainable economic growth, social inclusion and environmental protection. Read more about SEB and the SDG's here. Our business shall be underpinned by strong ethics and good governance, long term relationships and highly committed people living SEB's values, striving for simplicity and transparency. Sustainable finance – we increase share of positive impact financing and positively impact clients’ sustainability focus. Sustainable investments – we have a comprehensive and competitive offering where environmental, social and governance factors are fully integrated into all investment processes. Innovation and entrepreneurship – we support innovation and entrepreneurship to drive sustainable economic development and contribute to creating new jobs and growth in society. Responsible and proactive advice – we commit to understanding our customers’ needs and preferences in their transition to a more sustainable society. This is enabled by engaged and knowledgeable employees. We also aim to reduce our own environmental footprint, in particular our carbon emissions, with 20 per cent by 2020.